Product Description: Filled with advice on feeding and maintaining leather upholstery, repairing seat frames, renewing trim panels, curing water leaks, re-coloring vinyl trim and much, much more. 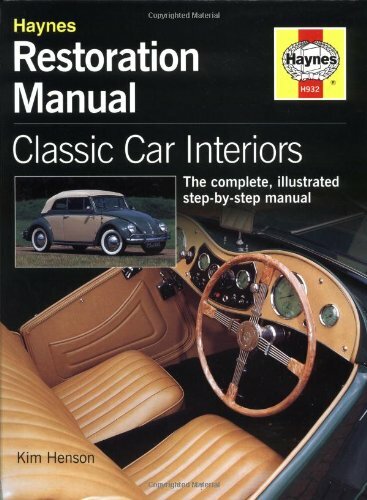 Uses the popular Haynes practical manual format to illustrate and describe all vehicle interior restoration procedures. Contains helpful contact addresses.